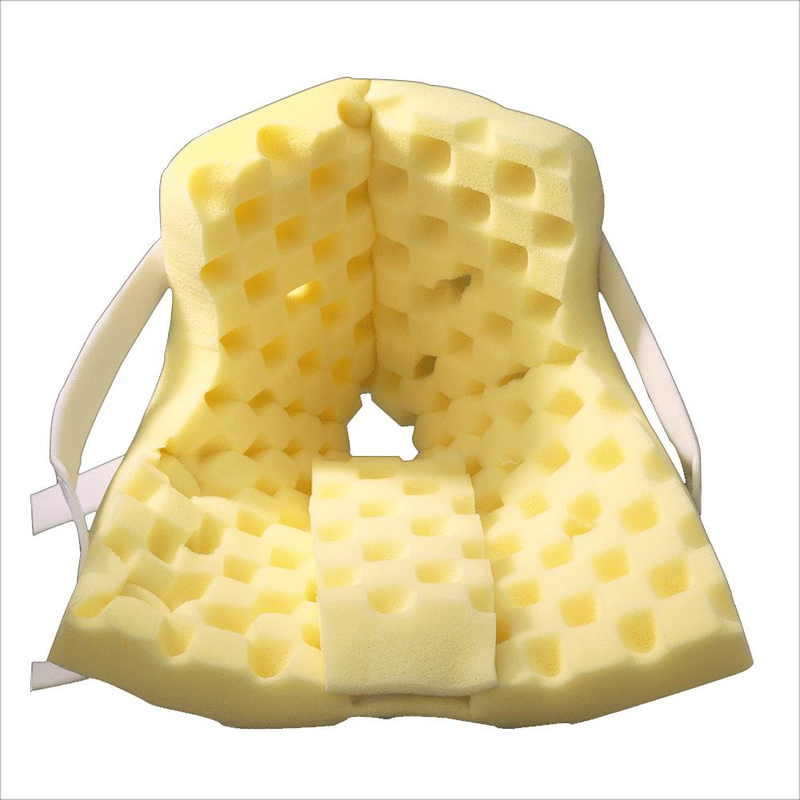 Posey Premium Heel Guard is recommended for patients who are at risk for foot injury, pressure ulcers or foot drop. Open heel cutout allows the heel to be suspended to help reduce pressure ulcers. Heel and side ventilation openings help provide air circulation and dissipate heat buildup and adjustable foam elevation block helps optimize individual positioning and heel lift. - Place the patient's foot so that the heel is centered over the heel opening. Reposition elevation block as required. - Securely apply ankle straps across calf to the opposing side. Place fingers through the heel opening to ensure that the heel is properly isolated, or pressure on the heel may result. 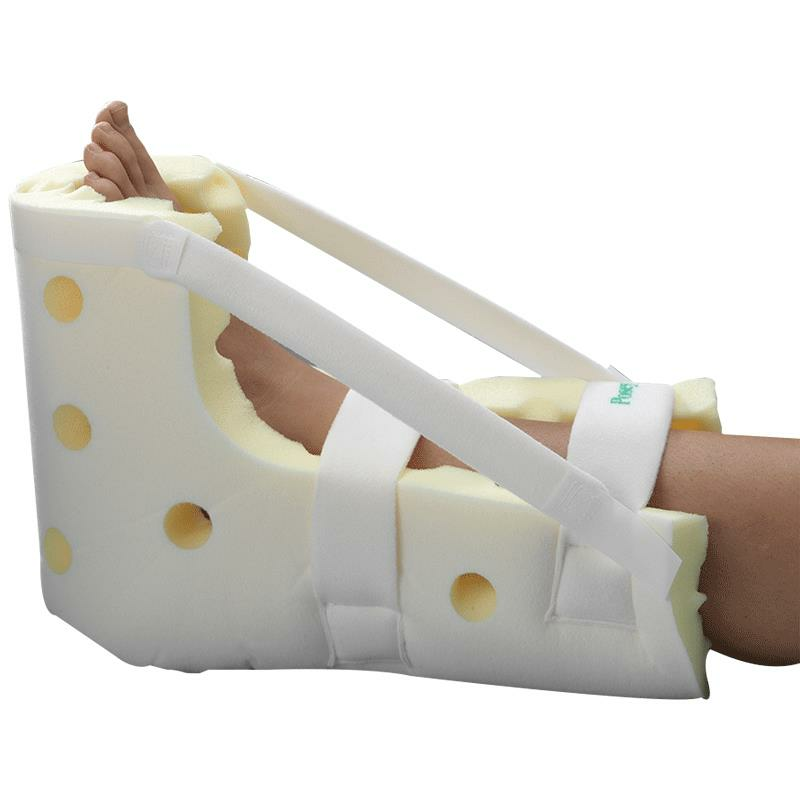 - For foot drop control, either criss-cross the straps over the patient's foot, or align the straps along either side and securely attach them to the outside of the Heel Guard. - Be sure to follow your facility's policies and guidelines for frequency of patient monitoring. Inspect the patient's leg at least every two hours to check for skin integrity, blood circulation and adequate allowance for movement of lower leg and foot. - Inspect products before each use: check for broken stitches; or torn, cut or frayed material. Do not use soiled or damaged products.